Hello SixPrizes readers! It’s a pleasure to write for you once again, discussing my latest thoughts and theories. We are now three weeks into one of my favorite parts of Pokémon, City Championships. I was able to go to two City Championships over the past weekend, and I had the rare opportunity to play in Standard and Expanded in consecutive days. For today’s article I will be covering how my tournaments went, interesting decks that popped up, and some potential plays for future Cities. I have a lot to cover so I will go ahead and jump right in. Pink hat. Round 3. Wrong Bronzor! I also found myself wanting to play a Supporter other than Lysandre often. For example, I’d want to Xerosic a Focus Sash or even play Hex Maniac instead. The most common situation I found myself in was playing Teammates to grab a Double Colorless Energy as well as a Pokémon Catcher. Pokémon Catcher opens up a lot of options that were not there before. I encourage you to test Pokémon Catcher not only in Night March but other decks as well. Most Night March lists can be found playing at least 1 copy of Jirachi. I chose not to include it all simply because I felt that Seismitoad- and Giratina-based decks were not going to be present. The main purpose of the Xerosic was to remove Focus Sash but it also served as a soft counter to Giratina and Seismitoad just in case they did show up. The mirror is all about keeping Shaymin out of play. First round of the tournament I find myself facing the mirror. I had not practiced the matchup at all prior to the tournament but I had a good idea of how to approach it. As long as I am able to keep my Shaymin use to a minimum and stream attacks without benching a Joltik I should be able to take the game with ease. My opponent wins the coin toss and starts with a Dunsparce ROS. My opponent says that he uses it primarily for the free retreat as well as a surprise deck-out option. He gets a few Night Marchers in the discard, retreats into a Joltik, attaches a Double Colorless Energy to his Pumpkaboo on the Bench, and then passes. 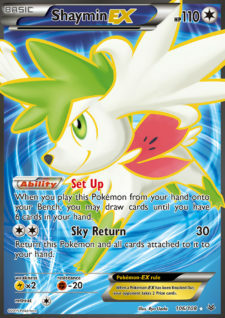 I am forced to bench a Shaymin in order to draw cards and set up, but in doing so I am gifted with an explosive start. I get a heads with Pokémon Catcher and am able to KO his Pumpkaboo with the Energy. On his turn he is able to Lysandre and KO my Shaymin-EX without benching an EX. This puts him ahead in the Prize trade. We are now trading attacks with Night Marchers for the next couple of turns. I notice he has 3 Double Colorless Energy and 3 Metal Energy in the discard. I am still 1 Prize behind at this point. He only has 1 Metal Energy on a Benched Joltik so in hopes of him missing an attack I play Hex Maniac. Fortunately for me he has to pass and I am able to exploit his lack of Energy. He is forced to play down a Shaymin in order to try to disrupt me but I am able to take my next 2 Prizes on it for the game the following turn. 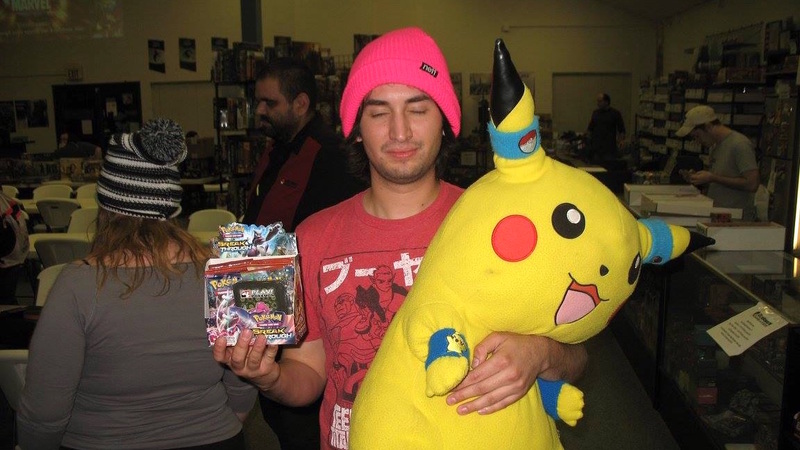 When my opponent flips over a Manectric-EX I am pretty happy as I know this is a favorable matchup for me. I go first, attach a Double Colorless Energy to my Active, get some Night Marchers in the discard, and try not to overextend too much. My opponent responds to this by playing an Enhanced Hammer on my Active. I now know I have to carefully manage my attachments in order to take all of my Prizes without running out of Energy. I am able to set up a Bronzong later in the game but he also plays Crushing Hammer. I am never able to use Bronzong to its full effect since I had to attach my Float Stone to one of my Pumpkaboo. This meant I had to take all 6 of my Prizes with only 3 or 4 attacks at best. Luckily for me my opponent does not have a very strong start and is forced to bench a Shaymin-EX and Hoopa-EX. I am able to capitalize on these easy Prizes with Lysandre and Pokémon Catcher. I take my final 2 Prizes at the end of the game on his Active Mega Manectric by getting all but 1 of my Night Marchers in the discard. Another mirror! Well, for the most part a mirror. My opponent chose to pair his Night Marchers with Milotic PRC in order to recycle Double Colorless Energy to get off more than 4 attacks. I am not fond of this version because it leaves you too vulnerable to Giratina-EX. As for the match, my opponent wins the coin flip but opts to go second. He is trying to get the first attack off and stay ahead in the Prize trade. I do not advocate this strategy. Choosing to go second makes you more reliant on benching Shaymin to get off a turn 1 attack which could lose you the Prize trade just as easily. It is also beneficial to set up your Stage 1 Pokémon on your first turn. The real problem though is that your opponent can play a Hex Maniac against you turn 1 making it very hard for you to set up, especially if you need to Shaymin to get out of your dead hand. I was able to execute this strategy of playing a turn 1 Hex Maniac without doing much else other than benching some Pokémon. My opponent had started Pumpkaboo and missed the Dimension Valley to get the turn 2 attack off. My opponent most likely could have played a Shaymin to draw into the Dimension Valley but was unable to due to my Hex Maniac. I follow up my turn with a knockout. My opponent plays a Shaymin down in order to draw what they need to get a knockout. I am able to Catcher the Shaymin up the following turn putting me so far ahead in the Prize trade that my opponent is unable to catch up. Going second leaves you vulnerable to being Hexed. Just one more game to go and I could ID my way into cut! Unfortunately I knew what I was going to be paired against this round. This could easily be called my worst matchup if my opponent is able to get the turn 1 Item lock. My only hope would be either my opponent loses the opening coin flip or that they miss the turn 1 lock. I am fortunate to have both of these happen for me. On my first turn I draw into my Town Map and see that both my Hex Maniac and Teammates are prized. This is very good for me in this matchup even though it sounds bad. Both of those cards are very beneficial in this matchup. Under Item lock these cards cannot be easily searched but thanks to Town Map I can now grab them as needed after every KO. I manage to get 8 Night Marchers in the discard turn 1 and a Muscle Band on my Active and pass. I Pokémon Catcher my opponent’s Gengar with Energy attached on my second turn and able to run away with the game after that. My opponent only manages to take 2 Prizes the rest of the game. I ended up 2nd seed. I ID’d against Vespiquen and Night March, both of which I was happy to see in cut. I grabbed some coffee and got prepared for Top 8. I was paired against the same opponent I played earlier in Round 3. My opponent wins the coin flip Game 1 but this time opts to go first. He actually plays Hex Maniac against me turn 1. This is very scary for me since I have a VS Seeker, 2 Ultra Balls, and some Night March Pokémon. I luckily top-decked a Sycamore and all was well. I did not even have to bench a Shaymin. The game went back and forth with us trading attacks but I did not have to bench a Shaymin the entire game other than to take a KO on a Joltik. My opponent however needed Shaymin to set up. I chose to not to bench Joltik as a way to prevent my opponent from drawing a Prize while scooping their Shaymin back into their hand. I eventually took a KO on a Shaymin thus putting me in the Prize lead and taking Game 1. Game 2 my opponent chooses to go first once again. They are unable to get a turn 1 Hex Maniac against me and struggle to set up. They have to bench several Shaymin and still end up missing Energy attachments. They also made a crucial misplay where they could have used Battle Compressor to discard a Double Colorless Energy and use Sparkling Ripples with Miltotic to get it back. They missed several attacks that game and I was able to take it. Case in point: Catcher wins games! I sure have gotten in my practice against the mirror today. This is the fourth time that I would be playing against it. I feel confident in this matchup now as long as I am able to limit my use of Shaymin and Sky Return whenever possible on a Joltik. I win the flip and opt to go first. I am not able to get a turn 1 Hex Maniac but I am able to get down my Bronzor and set up nicely for next turn. Throughout this game I am forced to make painful discards with Acro Bike. One of my discards was Double Colorless and the other was a VS Seeker. The game was very fast paced — back and forth — but I was running out of Energy. I also needed to bench Shaymin throughout this game and my opponent was able capitalize on it. My Energy situation had gotten so dire that I only had one Double Colorless Energy left, no VS Seekers, and 2 Prizes to go. I knew I had 1 Pokémon Catcher left in my deck. I grabbed it with a Trainers’ Mail, managed to flip heads, and won the game. This game was very close and nerve-wracking. Game 2 my opponent played 2 Shaymin down to set up throughout the game. I was able to get a knockout out on one of them turn 1 putting me really ahead in the Prize race. I later was able to grab the second Shaymin, putting me far enough ahead to win the game easily. I actually found myself in the finals against my good friend Max Armitage. We had tested this matchup a few times the night before and it had gone pretty even. Max plays the matchup perfectly in my opinion. He only benches Shaymin if he absolutely has to. I win the coin flip and start with a Pumpkaboo. I am unable to get a Bronzor down turn 1 which is very important in this matchup. I need to constantly stream attackers so it is very important that I get out Bronzong out as soon as possible. Max starts Shaymin but is able to Sky Return it his first turn. I take the first Prize and get a Bronzor down on my turn. Max then does an incredible play. He plays Lysandre on my Bronzor and also plays Enhanced Hammer to discard my Double Colorless. This means I am now limited to only 3 more attacks. Max does bench a Shaymin-EX in the process of doing this play. So I have to draw everything nearly perfectly to take 4 Prizes with my 3 Energy. A couple of turns later the worst happens for me when I play Acro Bike and have to decide between discarding a DCE or my last VS Seeker (which would allow me to Lysandre the Shaymin). I am out of Pokémon Catchers and stuck with no option to take my last 2 Prizes. Max takes a close game 1. Game 2 I have a really poor opening. I am able to play a Professor Sycamore but then draw into no draw option for next turn. I lose a few turns later due to not being to get another Basic. Congratulations to Max on taking the first Cities win in the area! 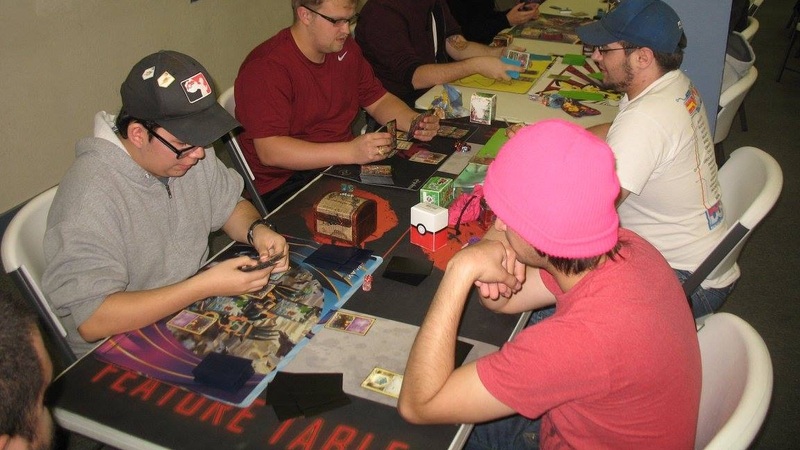 I was happy to take 2nd place at my first Cities. The main thing I would change from this deck is the Bronzor. I thought that the 1 Retreat Cost was more important than the extra 10 HP. If I had the other Bronzor the finals may have played out differently. This strat is straight fire. Entei’s Ancient Trait allows it to have 2 Pokémon Tools attached at once. 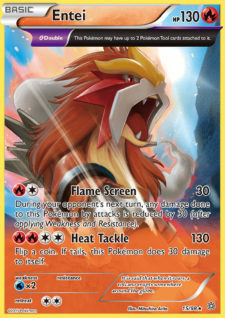 The idea behind the deck is to power up Entei as fast as possible with Blacksmith and get the necessary Tools attached. Assault Vest and Muscle Band are the only Tools that Entei needs for most matchups. Muscle Band lets you one-shot all of the 170 HP Pokémon-EX. Assault Vest lets you take a hit from anything that has a Special Energy attached. Assault Vest can do more than just prevent 40 damage from your opponent too — it can limit or manipulate what Energy your opponent actually attaches to their Pokémon. Charizard is run as an alternate attacker in the deck. It serves as something that can also hit 170 damage with while only needing 1 Muscle Band. 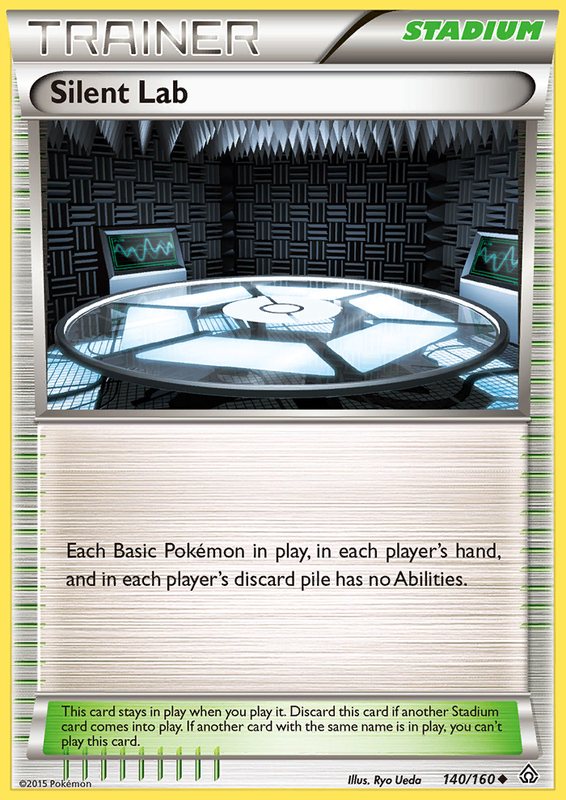 A possible tech card I could see in here would be Absol ROS. Entei frequently uses its first attack if it is unable to OHKO. The extra damage could be spread to something else to set up KOs for future turns or be used to KO Joltik in the Night March matchup. The main weakness of this deck is its typing. Seismitoad-based decks can really give this deck some trouble. Overall I see this deck as a strong contender in the current format. Entei can take a hit and put out quite a bit of damage so it is something to watch out for in the future. Transitioning from Standard to Expanded in one day was not something I looked forward to since I had not tested for Expanded much since Regionals. I was thinking that most people would stick to the same decks they had played on Saturday. The top cut was 3 Night March, 2 Yveltal/Zoroark, 1 Vespiquen, 1 Entei, and 1 Gengar/Trevenant. I also saw quite a few other Vespiquen in the field. Based on all of this, I decided to go with Landorus-EX/Crobat. This deck has very favorable Night March and Vespiquen matchups. The deck does have a near autoloss to Seismitoad and Blastoise decks but I was hoping since Jirachi XY67 had been printed that Seismitoad-based decks would see far less play. The main strategy of the deck is to use Hammerhead and KO all low-HP Basic Pokémon with the help of bat damage. I made this list only hours before the tournament so it is not perfect. I will discuss why I played what I did though. This card worked great for me throughout the tournament. There were so many opening hands where I would start with a Professor Sycamore, Crobat, and Pokémon Communication. This card really allowed me to use every bat in my deck. There were only a few instances where I would have preferred it to be an Ultra Ball. 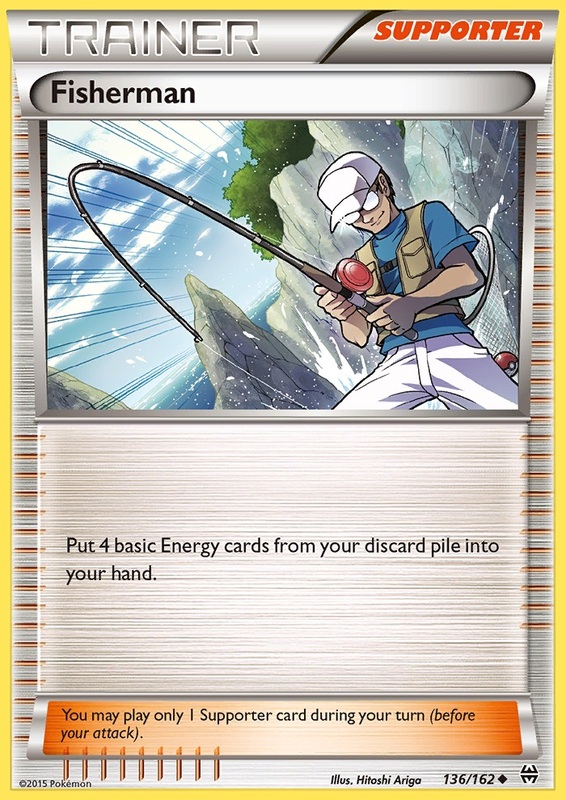 This card is better in the beginning of the game when you have more Pokémon in your hand and deck. It does get worse as the game goes on but I think I would still include 2 copies over 2 more Ultra Ball. In an optimal world I would run 4-4-3 but for space reasons this is what I ran. I would have liked a 4th Golbat since I prized 2 multiple games and could not use my bats more than a couple of times until I drew Prizes. If I were to play this again I would try to make room for a 4th Golbat. Pokémon Communication did make this thin line work really well since I only had to discard a bat with Professor Sycamore once. This card served as both a Seismitoad and Giratina counter as well as a counter to Flash Energy. Flash Energy on a Manectric with no counter is a near autoloss. Rough Seas heals away most of your damage if they have no Weakness. I did sit next to a Donphan playing against Mega Manectric/Garbodor deck with Flash Energy. Since the Donphan deck ran no counters the Manectric deck won with ease. I did not have the chance to play against any Manectric decks to test how well Jirachi works but I do believe that it is enough to win you the matchup. It was all but over when he whiffed the turn 1 Spritzee. First round I am playing against a Mega Gardevoir deck. This could be bad for me if they are ever able to set up Aromatisse and continually Max Potion their Pokémon. They open with Xerneas XY and go first. They get another Xerneas XY down and play Professor Birch’s Observations. They get tails, only draw 4 cards off of it, and pass to me. They did not get a Spritzee down turn 1 which essentially means they are locked out of getting Aromatisse. I get 3 Zubat down turn 1 and Hammerhead. If they ever bench a Spritzee it is just a Golbat and a Hammerhead away from a KO. Unfortunately for my opponent they have a poor draw after their Birch and they just Geomancy. I Hammerhead, attach another Strong Energy, and KO their Active Pokémon. My opponent ends their turn after benching a Gardevoir and Geomancy. I KO their second Xerneas XY and they just Mega Evolve. I finish the game with a Land’s Judgement. Landorus has always been around to bully Eelektrik decks. Landorus now has the addition of bats and Focus Sash to make it even worse for poor Eels. My opponent wins the coin flip. They start off the game with a Rayquaza-EX and 2 Tynamo. They Hoopa for a Shaymin and Keldeo and then pass. 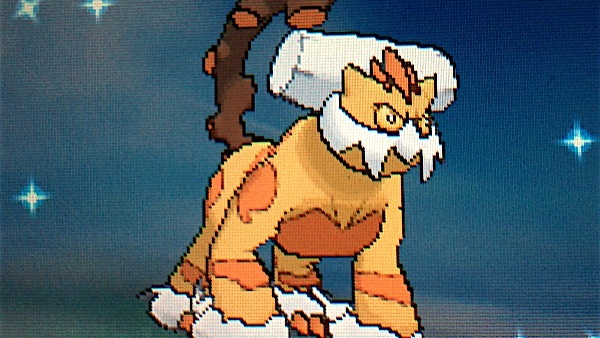 I start with a Landorus, get 3 Zubat down, and then start Hammerheading on his Tynamo. My opponent dead-draws for the rest of the game and I just continuously Hammerhead till I have taken all 6 Prizes. I finally play against one of the decks I expected to see. I go first, get a Landorus with a couple of Zubat down, and pass. My opponent starts Eevee and Unown. They play Sycamore and are unable to get another Basic Pokémon down. I get 2 Golbats into play and Hammerhead to win the game. I was happy to see that both of my opponents that I ID’d with were playing Vespiquen. This gave me really good odds of taking the whole thing in top cut. I go first Game 1 and start with a Hawlucha, get 2 Zubat down, and pass. My opponent starts Eevee, Unown, and Combee. He plays Professor Sycamore, benches a Bunnelby, and then passes. I get out a Landorus-EX KO both Eevee and Combee. The are forced to promote Bunnelby. I have so many bats set up that my opponent knows that it will be hard for them to set up another attacker. He scoops and we move onto Game 2. Game 2 he starts Eevee and is able to evolve it turn 1 with Energy Evolution. They get down 2 Combee and pass. I start out strong by benching 3 Zubat and using Hammerhead on the Active Flareon and Benched Combee. My opponent makes a very strong play this turn by Enhanced Hammering my Strong Energy and also playing Lysandre to KO one of my Zubat. He is also able to Life Dew his Flareon and Evolve into Vespiquen. Despite this, I am still in a very strong position. I can still make it very difficult to get out any more attackers outside of what he already has set up. I Focus Sash my Landourus-EX, KO his Flareon and put 30 more on Vepsiquen. He benches an Eevee, Combee, and Entei. He plays a Shaymin down to draw some additonal cards. He finishes up his turn by attacking my Landorus but is unable to activate Focus Sash. I Scoop Up Cyclone my Landorus-EX and replay it down with the Focus Sash. I check my opponent’s discard and see that he has 4 Flareon there and 2 Vespiquen. I KO the Combee and assume he has no way to actually set up another Flareon. He is now only left with an Entei as his only attacker. He promotes Shaymin and Sky Returns. My opponent only has 2 cards left in deck now. I check his discard and see that he only has 2 VS Seekers left. His only way to attack is to Blacksmith. He cannot N, AZ, and Blacksmith and still win the game. So I Focus Sash my Halwucha and pass. My opponent does deck out and I win the game. A sweet target to Hammerhead and Sneaky Bite. Another Vespiquen! I am happy to be playing against another Vespiquen deck. This is the same opponent I benched in Round 3 so hopefully we can have a more competitive game. Game 1 I go first. I open Hawlucha, 2 Zubat, and a Landorus-EX with a Focus Sash and a Strong Energy. My opponent responds with turn 1 Flareon. 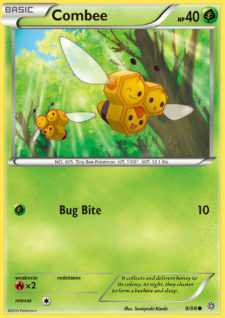 They also are able to get down 2 Eevee and 1 Combee. I attach a second Strong Energy and Lysandre Eevee. I evolve 2 Golbat and get a double KO on Eevee and Combee. My opponent is now left with a Flareon and a Combee with 30 damage. They evolve to Vespiquen but are unable to get another Basic down. They attack with Flareon and break my Focus Sash. I then attach a Muscle Band, evolve 2 Crobat, and bench him. Game 2 he is able to set up a turn 1 Flareon again. He gets some more Basics down and passes to me. I have an abysmal start. I start Hex Maniac, Hawlucha, and some Energy. I play Hex Maniac and pass. He responds with a KO and we move onto Game 3. Game 3 I have a great start with a Landorus, 2 Zubat, Professor Sycamore, and Hex Maniac in my opening hand. I play Hex Maniac on my first turn so my opponent cannot evolve into Flareon or elongate their turn with Shaymin-EX. This limits him to only getting an Eevee and 2 Combee. I get down a couple more Zubat. I am able to KO both Eevee and Combee on my turn. My opponent fails to set up any more attackers under the pressure of Hammerhead and I take the game. I am excited to be in the finals for two days straight! I am not so excited about what I play against in the finals though. Archiestoise is a one of this deck’s worst matchups, but I did not let this get me down and gave it my all. I go first starting Zubat, Landorus, and Hawlucha. I do not have a Supporter but I do have a Level Ball to grab a Jirachi-EX. I also have Super Scoop Up in my hand. I would like to play Hex Maniac to delay my opponent from getting Blastoise out as long as possible. I first use Jirachi-EX to grab a Professor Sycamore to ensure I have a Supporter to draw cards with. 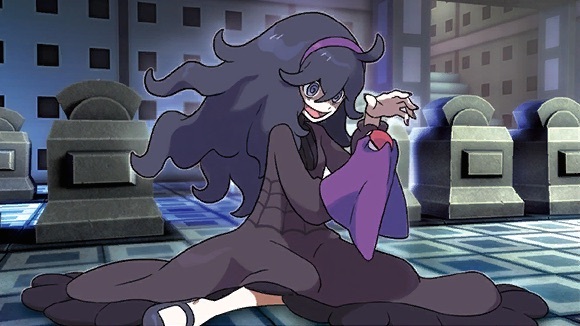 I then go for the SSU to grab Hex Maniac. I get heads, grab Hex Maniac with Jirachi, and play it. My opponent is unable to get out their Blastoise that turn. They simply just Float Stone Keldeo-EX, bench Lugia-EX AOR, and promote Articuno ROS 17. My opponent is unable to get out their Blastoise for 5 turns but manually attaches to their Keldeo-EX. I continually Hammerhead during this time but my damaged is healed off by Rough Seas. My opponent finally starts attacking with Keldeo-EX and KO’s my Landorus-EX. I respond with a Hawlucha with a Focus Sash attached. My opponent however plays Tool Scrapper. My opponent does get a Blastoise out their final turn but does not even need to use it. Even without Blastoise my opponent is able to win this first game. Game 2 I get the turn 1 Hex Maniac once again. This delays my opponent 3 turns before they can get out their Blastoise. Once they get it out though it is a steamroll. I try to attack with a Focus Sashed Hawlucha but it it quickly removed with Tool Scrapper. I managed to take some Prizes off of their Benched Jirachi-EX but I was never in a favorable position throughout either of these games. Congratulations to my opponent for getting their first City Championship win! I liked my deck choices for both Cities. I was happy to make it to the finals back to back. If I were to play these Cities over again I would play the same lists with the exception of the 50 HP Bronzor. I would strongly consider playing either of these decks again as well. It was great seeing all my friends and meeting new ones. Both of the decks I will be discussing I feel can be very strong in the correct metagame. The first deck I will be going over will be for the Standard format. This deck has not seen much play since this past Nationals. We saw this deck make a few showings this past weekend however. Zoroark’s Stand In is now a substitute for Keldeo-EX’s Rush In Ability. This deck is very powerful in the right field. Yveltal is seeing a rise in popularity and Vespiquen a decline. This deck has very favorable Yveltal, Manectric, Seismitoad, Metal, and Lucario/Bats matchups. Also, if we see a rise in popularity of the Entei deck I mentioned earlier, that would make this deck stronger. This deck does have a poor matchup against Night March though. That is the only thing holding this deck from being one of the top contenders. This deck can run a variety of techs though to give you a fighting chance. Fisherman in a Water deck … makes sense! 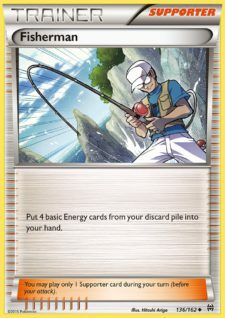 Both of these cards are great late game to power up your Kyogre. Running either of these cards is a consistency booster late game to ensure you do not miss an attack. I think running at least one of these would be great inclusion. Regice has an incredible attack. It has already been paired in of one of the most popular Mega Manectric variants. If your opponent has no response to Regice you can steal a game. It can also be used as a great stall tactic. A non-EX attacker is also great to have in the deck to throw off the Prize trade. We saw this card played in the list that made Top 16 at Nationals last year. It can set up KOs nicely on Pokémon-EX as well as help your Night March matchup. It’s perfect for sniping off Joltik if your opponent benches a Shaymin. Another Lysandre maybe be better instead of this card but it is something to think about. Another card to aid the Night March matchup is Articuno. Taking 2 Prizes on a Joltik or Pumpkaboo can definitely swing things in your favor. This card is not only great against Night March but it can be used to KO a heavily-damaged EX. Like Regice it is a non-EX which is great for upsetting the Prize trade. I would definitely consider running at least 1 of these. More things to combat Night March! My friend Michael Canaves ran 2 of these in his Sceptile deck to aid the Night March matchup to great effect. Your main attacker is also a Mega Pokémon which could be troublesome if you ran into Giratina. This is one of my favorite cards right now. If you are expecting Giratina in your meta I would definitely consider adding one of these. Overall I think this deck is great. It also has the nice surprise factor. Odds are that your opponent has probably not playtested against Kyogre. This is definitely one of my top choices for upcoming Cities! Now let’s take a look at an Expanded deck. This another deck that did well at Nationals last year. It was piloted by Kristy Britton to a Top 8 Spot. I took the skeleton of the Landorus-EX/Crobat deck from above. I substituted out the attackers, Energy, and Stadiums and added some Hypnotoxic Laser. This deck has a better Darkrai/Yveltal, Mega Rayquaza, and Vespiquen matchup than straight Seismitoad-EX/Crobat. The only thing this deck sacrifices is its Blastoise matchup which could still be teched for by adding a copy Mewtwo-EX NXD. Let’s see what can be used to fill the last 5 spots based on the meta in your area. For quieting the likes of Shaymin and Hoopa. Being able to shut off Abilities as soon as turn 1 is very strong. Most of the very important Abilities that you want to shut off are on Basic Pokémon — the main exception being Blastoise. 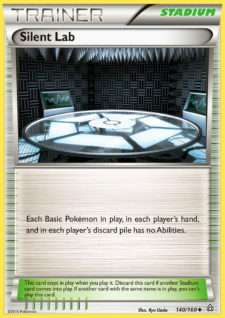 This deck is not very reliant on Abilities from your Basic Pokémon so I think that Silent Lab is the better choice. I would definitely include at least 1 copy. The only reason I would consider running Hex Maniac in this deck is because it can be searched out with Jirachi-EX. This is the hardest decision to make in the deck. All of them have their merits. Rock Guard is great on Seismitoad-EX since it is very hard to remove it. It directly counters Jirachi XY67. I would choose to run Computer Search if I were running Silent Lab. It is an extra consistency card and it makes it that much easier to get down Silent Lab turn 1. Scoop Up Cyclone is great anytime something cannot OHKO. I believe this to be the weakest choice however. The other two ACE SPEC pros are much greater. If did not run Silent Lab I would choose Rock Guard just as a Jirachi counter. Kristy ran 2 copies of this card in her Top 8 list. 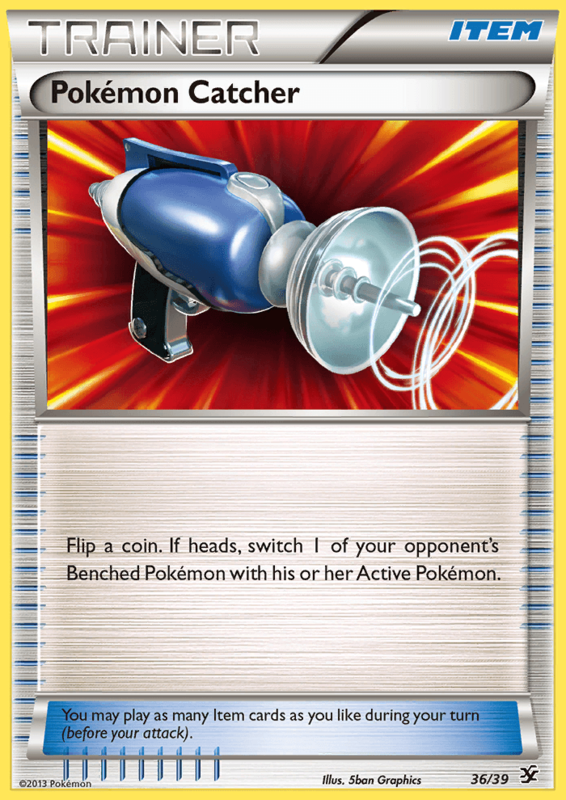 It can be used as extra damage with Manectric-EX or just slowing down your opponent from attacking. 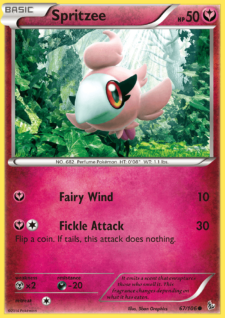 If their was a heavy amount of Yveltal-, Giratina-, or Seismitoad-based decks in my area I would definitely consider running 2-3 copies of this card. Energy denial has always been great in Seismitoad-based decks. However choosing between Xerosic or Jirachi can be tough. I personally prefer Xerosic in this deck because you do not want to stop Quaking Punching. Jirachi could be stronger if a Giratina were to attack. Xerosic could prevent that from ever happening while using Quaking Punch. Xerosic also pairs well with Head Ringer. Overall I think Xerosic is the stronger card in this deck. I think Seismitoad-EX/Crobat is much stronger when paired with Manectric-EX. It makes many of your even matchups stronger by only sacrificing your Blastoise matchup. I suggest giving this variant a try. That’s all I have for you guys today. Thank you all for reading about what I have to say. It was a pleasure as always writing for you guys. I look forward to any feedback you may have for me. It helps me improve as a player and as a writer. If you have any question please feel free to message me through Facebook or comment down below. I hope you enjoyed my article and good luck to everyone at City Championships!